Bocas Sanas provides preventative and curative care with teams of Dutch volunteers working with Dominican partners. The emphasis is on prevention, by providing information and training and by children brushing their teeth at school according to the Fit for School system. The teams are also provide curative care to the children using, at field level, the ART (A-traumatic Restorative Treatment) method. This is a method that does not require advanced equipment or electricity, which allows for providing dental care outside a dental clinic. Also, on various occasions field days were organized with dentists from the Ministry of Public Health providing curative assistance to children and, to a lesser extent, adults. From 2008 to 2017 eight Dutch teams, with of eight to fourteen Dutch volunteers, visited the Dominican Republic for two weeks to engage in the above mentioned activities, providing preventive and curative care in a total of 15 schools. Since 2012 Bocas Sanas director Cristina lives in the Dominican Republic for most of the year, continuing, building on and expanding the work done by the teams. She does so by visiting the schools participating in the program, regular distribution of fluoride tooth paste and tooth brushes, monitoring the use of the school brushing facilities, continued instruction of school children and staff, providing preventive and curative care, and promoting the Bocas Sanas – Fit for School approach with the authorities. The Bocas Sanas América Latina Foundation was created in 2012 to promote the Fit for School system in the Dominican Republic. 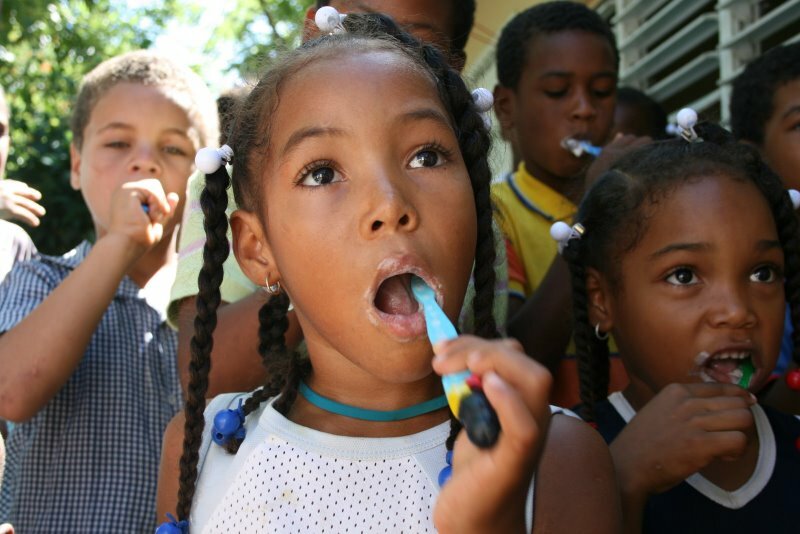 More generally it aims for the Dominican State, in cooperation with Dominican private organizations and professionals, taking over responsibility for the oral health of children, first in the Maimón area and then nationwide. During the first years of its existence the activities of Bocas Sanas América Latina have been limited, due to lack of budget and to priority being given to the work of Bocas Sanas Holanda-Maimón. Various efforts have been made to bring the outcomes of the latter to the attention of Dominican officials, but this has not yet led to any follow-up. Continuation of the attempts and more intensive follow-up are planned for 2018.